Fingerlings were one of 2017’s hottest holiday toys. The small colorful monkeys are designed to wrap around a child’s finger and look adorable by cooing, moving their heads, and passing gas. The cute aesthetic won parents over, making Fingerlings one of the hardest toys to find last fall. 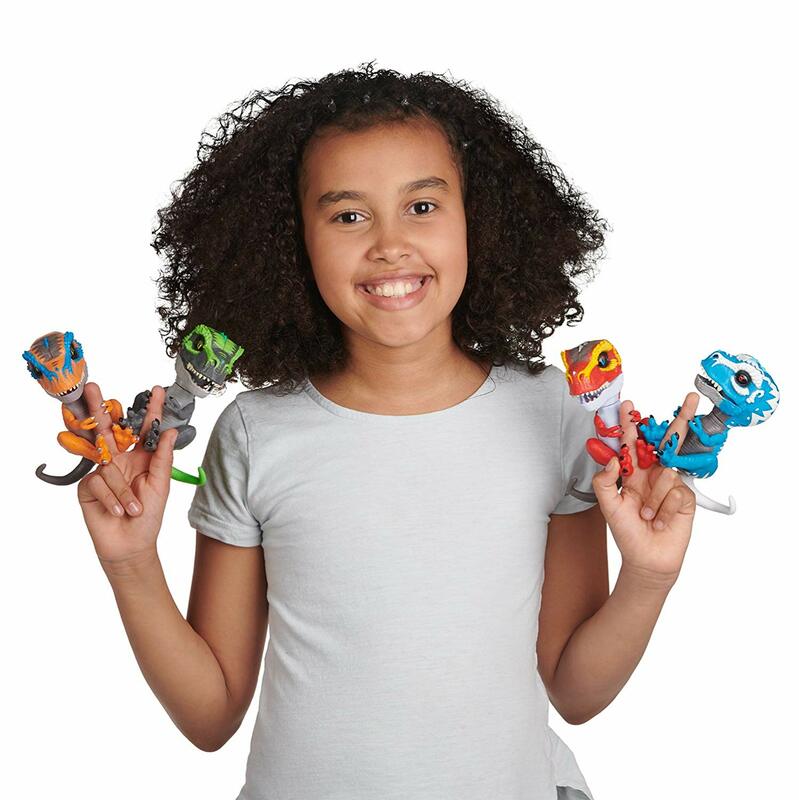 This year, toy maker WowWee is taking the same finger-hugging concept and making things a bit wilder. Untamed ($14.99, age 5+) are the same finger-hugging toys, but instead of adorable apes, unicorns, or sloths, they look like dinosaurs. There are four different velociraptors and four tyrannosaurus rexes to collect. 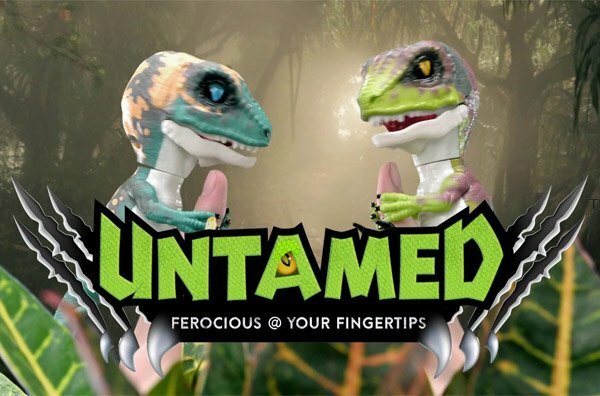 How are Untamed different than Fingerlings? It’s easy to look at Untamed through an outdated gender lens and see them as “Fingerlings for boys.” However, our boys loved their Fingerlings last year and our daughter couldn’t be happier to have a tiny dinosaur roaring on her finger. The key difference between last year’s soft and cuddly toys and this year’s spiny terrors is the second mode the dinosaurs offer. When you turn an Untamed on, it is in “tamed” mode. It coos and gurgles just like a Fingerlings. Turn it upside down or shake it and it becomes “untamed.” It roars and snaps (though not hard enough to harm a child, of course). Pet its head (from the back where one sensor rests to the nose where the other sits) and you’ll calm it down. All told, Fingerlings and Untamed don’t hold kids’ attention for terribly long. They are adorable and amusing, but once they’ve passed gas a few times, the appeal starts to fade. This is especially so for kids who derive some of their amusement from video games. WowWee has figured out how to bridge that gap with Untamed. Is there anything else Untamed can do? You wouldn’t know it from looking at the included instructions or the packaging, but Untamed are more than just a novelty toy. Each of the different creatures can be used in a mobile augmented reality (AR) app called Untamed ARena. The app is free to download, and you don’t need an Untamed to enjoy it. Load it up, and you’ll automatically unlock one of the Untamed characters to play with. If you own one or more Untamed, you can scan them into the app and add them to your collection. There are a couple of different modes. One turns the dinosaurs into virtual pets. You can play fetch with your T-Rex or feed your raptor (just watch out for spicy food, which can lead to dino farts). The meat of the AR experience is an online multiplayer battle game. 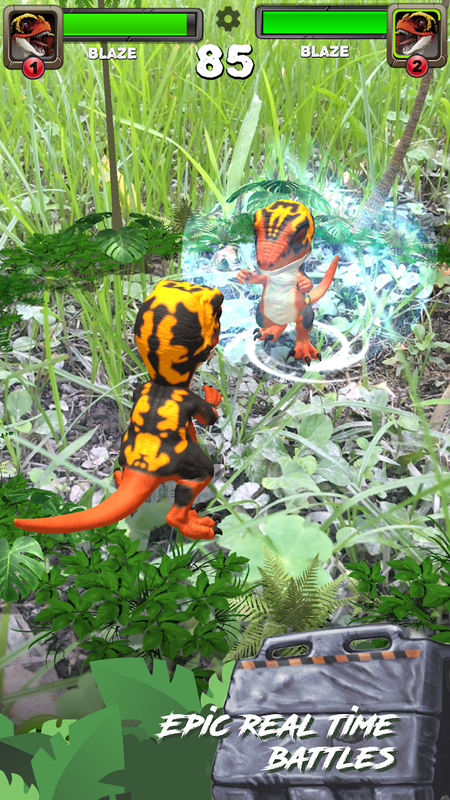 Once you summon your dinosaur into the augmented reality space, you can jump into battle online. The controls are fairly simple, with swipes left and right used to dodge, swipes up and down trigger two different attacks, a shield button blocks, and a super move button (which charges up during the match) can unleash significant damage. The attacks include tail whips, chomps, scratches, and… farting. The smelly “toxic gas” attack can be brutal in combat, so expect to see a lot of that online once players have it unlocked. There are two different progression paths: one for Untamed and one for the player’s overall account. As you battle and earn experience, your Untamed will earn new attacks that can be swapped in and out. As players build their profile level, new color customization options become available. Is it safe to let my child play online? Under normal circumstances, online play can be a touchy subject for parents. Thankfully, WowWee has designed Untamed ARena’s online multiplayer to put kids at arm’s length from their opponents. First, choosing a profile name is not open-ended. There are two different fields, each with a list of preset words like big, cunning, red, blue, brute, and barbarian. You cannot enter your own name. That also means that there are going to be dozens of HungryTrolls online. Each instance of a name has a unique identifier number tacked onto the end. There’s also no online chat. You can add friends using their Tamer IDs and compare leaderboard position, but you won’t be able to trash talk your opponents. This also means that Untamed ARena can’t be used for other nefarious purposes where young children might otherwise be vulnerable. Our kids (5, 7, and 10 as of printing) loved their Fingerlings when they received them as gifts last year. However, they quickly got passed over for other toys. Untamed has the potential to make the toys stickier. The ARena app adds another dimension to the toys, even if they are only required for scanning once. 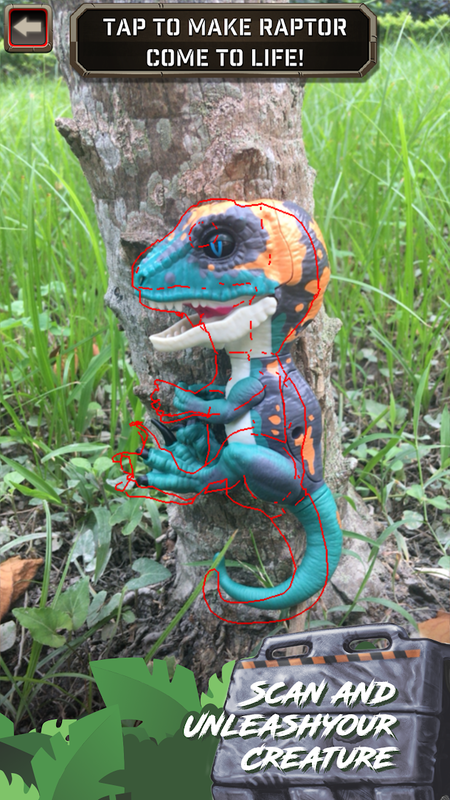 There’s an interesting loop that develops when a child plays with the toy, sees it come to life, and then goes back to the toy with the knowledge of how that “character” operates in the virtual space. Just be warned: your kids are likely to spend more time making their pet dinos pass gas. Perhaps the Untamed don’t belong at the dinner table.